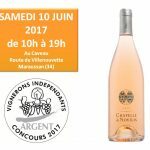 The fine and elegant organic wines of CHAPELLE de NOVILIS, IGP Coteaux d’Ensérune, in Languedoc, come to meet you! 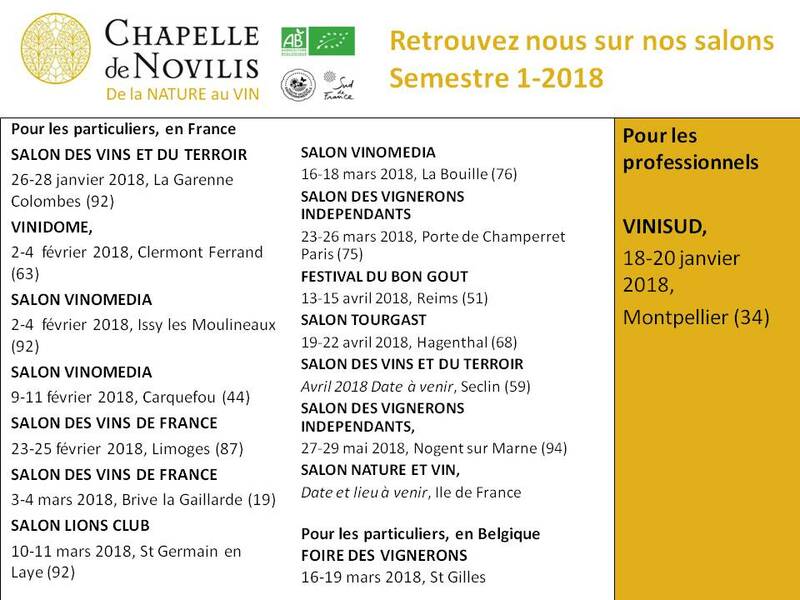 Come and meet them back or discover our new vintages CHAPELLE de NOVILIS, Hérault, on our 1st semester 201_ wine exhibitions. We will have the pleasure of welcoming you again, or of meeting you for the first time! 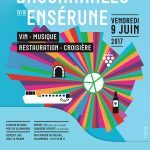 Go on our calendar at the bottom of “Oenotourism” to find details. Your invitations will be available in a specific article on each exhibition, on our website, about 2 or 3 weeks before the date of the exhibition. 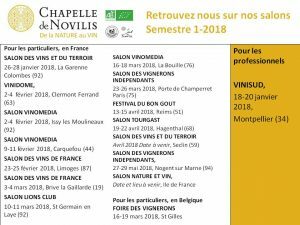 Of course, if you are already fond of fine and elegant organic wines from CHAPELLE de NOVILIS, you will receive an invitation directly in your email box. We never met? Write us to let us know your wish to receive an invitation for the show of your choice.